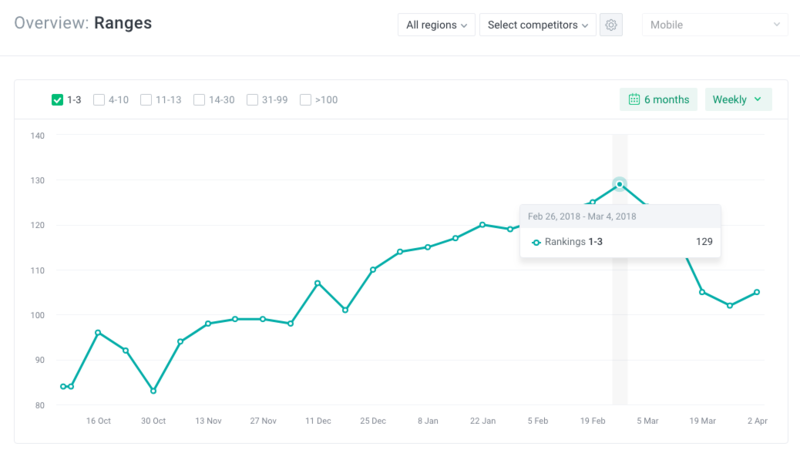 The Ranking Ranges Section reflects keyword positions over time. Keywords are grouped within ranking ranges to make things easier. The feature helps you understand your website’s overall visibility. 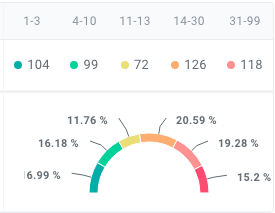 In the Overview Section you see what the number of keywords in select ranking ranges (1-3, 4-10, 11-13, 14-30, 31-99, >100) is today. See the growth (or decline) of the number of keywords in a specific ranking range - e.g., keywords ranking in positions 1-3. 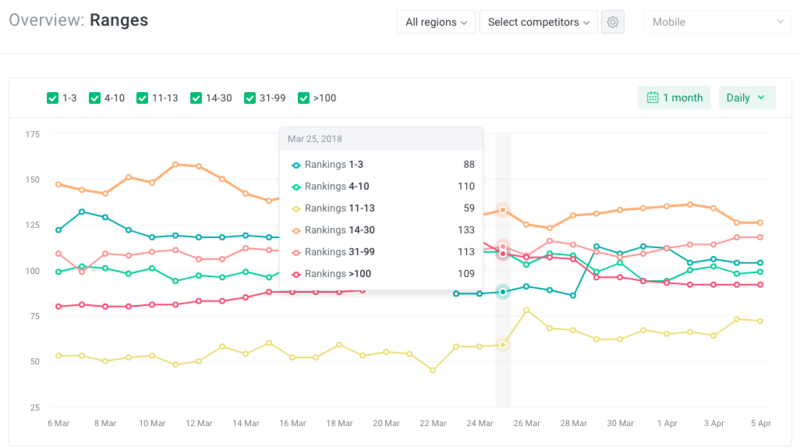 Compare the number of keywords in your ranking ranges to your competitors’. You can access the Ranking Ranges Section from the Overview Section.